If acceptance and understanding was the first hurdle, the challenge facing wellness professionals now is to develop employee reward and benefit offerings that encompass both needs. Current programs provide wide-ranging access to services that enhance physical, mental, emotional, social and environmental wellbeing, while ignoring the tools, resources and education needed to optimize financial wellbeing. Financial wellness places a distant second in even the most established employee wellness programs. 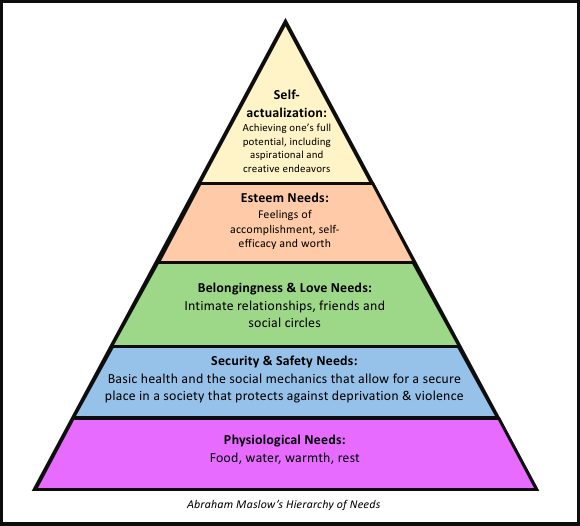 Maslow’s Hierarchy of Needs–the most well recognized visualization of what human beings require for a full life–starts with the basic building blocks, including food, shelter and general health. But after that, our needs grow in complexity. As basic needs are achieved, we focus on social relationships, ideas of self-worth and ultimately, the expression of our full potential. We move up the pyramid by concentrating on those pursuits that continue to enhance our lives. But the reverse is also true. Our drive toward overall wellbeing can be stunted as needs go unmet–and one of the most common culprits is financial stress. Do I have enough to carry me through an emergency? How will I save enough to send my children to college? What if I, or my partner, gets sick? Will I ever be able to retire? Mental, physical, social and emotional health are as important as ever, but if the list does not expand to include financial needs, that next tier of wellbeing will continue to remain out of reach. Employers and financial advisors are beginning to recognize that financial wellbeing is a fully paid up member of the wellness ecosystem. Today, only 20% of employers offer a financial wellness program, but 50% plan to offer or would like to offer one in the future. Employers who ignore financial wellness do so at their own peril, as the impact of not offering such a service to employees carries with it a negative cost to both parties. A well-conceived financial wellness program will not only reduce healthcare expenditures and absenteeism rates, while increasing productivity, but it can also help employers attract and retain top talent. Imagine the attractiveness of a career choice that comes with student loan repayment assistance, home buying assistance, HSA/FSA contributions, child care stipends, etc. Wellness experts have successfully put financial wellbeing in focus, so much so that employers are scrambling to recalibrate their program offerings to ensure they don’t miss out. 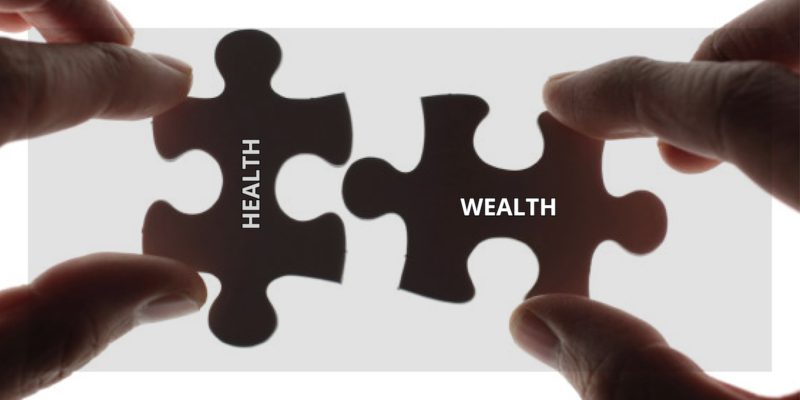 Advizr’s leap into the wellness space is rooted in two of our core beliefs: everyone deserves financial freedom; and, the best path to achieving it is through financial planning and education. Employees benefit most from personalized financial planning that is targeted to their unique needs, as opposed to general calculators and budgeting tools. Personalized, comprehensive financial planning, high-touch guidance and support, and educational programming are the key components of an impactful financial wellness solution. Building financial courage and literacy gives people the confidence required to create financial goals and manage day-to-day expenses, alleviating financial stressors. Advizr’s Workplace Program is the first financial wellness solution to fully integrate financial wellness education with comprehensive financial technology in a consumer interface, driving sustainable behavior change to positively impact overall wellbeing. Benefits professionals and financial advisors use Advizr Workplace to drive engagement, improve employee wellbeing, and provide the tools and resources people need to take charge of their financial future. The Workplace offering includes planning tools, engagement collateral, programming, reporting and the high-touch services needed to deepen relationships and build a holistic financial wellness offering. To find out more about how Advizr Workplace is reshaping the modern wellness landscape, contact Jacqueline Farmer or call (844) 223-8497. Prudential, The Power of the Wellness Effect: seeing the real value of employee financial health.